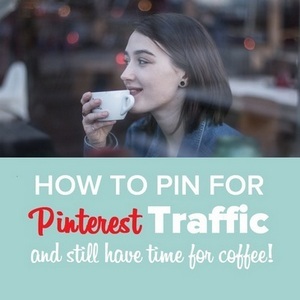 Home » Social Media » What is the best way to pin for Pinterest Traffic? If you are looking to boost traffic to your site with social media then you can do a lot worse than adopting a pinning for Pinterest traffic strategy as a form of traffic generation. The question is though, What is the best way to pin to maximize your Pinterest traffic? Well, let’s start with some basics. And then move into some more advanced pinning strategies. How do you pin something on Pinterest? Now I am going to assume that you run your own site or blog and that you are looking to pin your post images to Pinterest and build Pinterest traffic as your visitors then, in turn, share your images and infographics. Don’t just pin “something” on Pinterest, what is it that you are pinning? The obvious and most widely used method is to pin to Pinterest using a Pinterest share button. You can find these share buttons in various forms. There are Pinterest buttons that appear amongst a group on share buttons. There are also hover-over pin buttons. When you move your cursor over an image you show a pin button. You can see this working if you hover over any of this articles images. And there are pin buttons and Pinterest share options that you can add to your browser. You add your images to your blog. They are named with keywords that you want to rank for. You have added a description and maybe even some relevant hashtags. 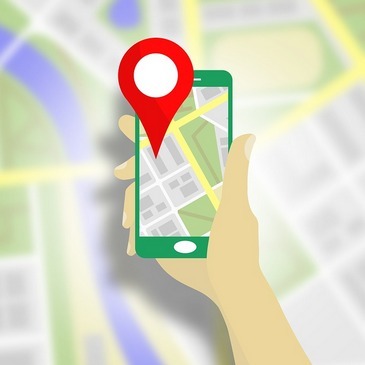 The result of someone clicking pin is an image that not only links back to your site it also carries an indexable description with good keywords that will show up on Google. Don’t just pin something to Pinterest, pin with a purpose. Add a good keyword based description to your image. This tells the Pinterest Smart-Feed algorithm what it is looking at. Google will also recognize what you have done. And depending on the text within your post that surrounds your images will rank them on Google images. It is all about being clear on what you are pinning. If you don’t optimize your pins it is not just Pinterest and Google that don’t know what is going on, it is also your image. 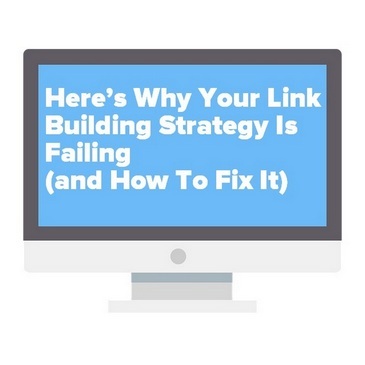 Yes, your image has a link back for your audience to click. But we want people to follow us and we want re-pins to grow our Pinterest Traffic. I can’t tell you how many times I have seen a great image that I would like to pin and then seen that it has no information surrounding it so I just move on. When you optimize the images on your pages you make it super easy for your readers to share for you. They simply click pin and all the relevant information for the image and site goes to the pinboard they share to. Your message, your call to action is shared. It is just a smarter way to offer shareable content to your audience. How do you make your own pin on Pinterest? This refers to making manual pins and this is actually something that I do quite a lot. So you’re probably wondering why I make manual pins when I can just share the images from my posts with just a click and a whole lot less work. And the simple answer is to further promote my content. Pinterest images tend to by nature be big and work best in portrait with the optimal size for a pin being 900 x 600 wide. And because they are so big they tend to slow down your site because the image file size is so big. and as we know a slow site is very bad for SEO and particularly mobile SEO in 2018 with the arrival of Googles Mobile-First Index. And if you are pinning for Pinterest traffic then you know you should be pinning lots of other members images. Making new images allows you to pin fresh content in amongst all the repins you make for others. All you do is find so free to use images and create manual promotion pins that you upload. Pixabay and Unsplash are great free to use image resources. You then add your post or site link, add in a good long keyword based description and add in some popular relevant hashtags to help your pins visibility within the Smartfeed algorithm. This is a great way to use Pinterest to drive traffic to your site and gives you more opportunities to go viral on Pinterest than with the regular social share options. There is another benefit to making manual promotion pins and that is that you can swap them in and out of your site when you make updates. This is great for your SEO as Google sees the new image as fresh content and likewise your audience. We mentioned it earlier in this blog that Pinterest likes large portrait pictures. And having large images on your posts means having large image files and that can seriously slow your site down which is a big no, no for SEO and Google. There is an adopted method by what I like to call Pinterest Bloggers (those who do well on Pinterest but not so well on Google) where you hide images. What you do is to add any number of full-size images and then with some code hide them from your visitors. Add this code before the opening img tag. When you visitor clicks the pin button they are shown the hidden images to share to their pinboard. Google hates hidden content. Hiding content makes Google extremely suspicious of what you are doing. Google have spent their whole existence fighting people who want to game the system. An early method of Black Hat SEO encouraged the use of white text on a white page so that you could stuff keywords and they remained hidden from visitors. I am happy to say that Google is wise to all these underhand tactics and if you use one that they are not you will eventually pick up a penalty. Hiding content is not a good idea and although hiding images and presenting them as options for a Pinterest share may sound like a good idea I firmly believe that you shouldn’t do it. And maybe that is one of the reasons why Pinterest Bloggers do so well on Pinterest and not so well on Google. Is there any need to promote pins on Pinterest? 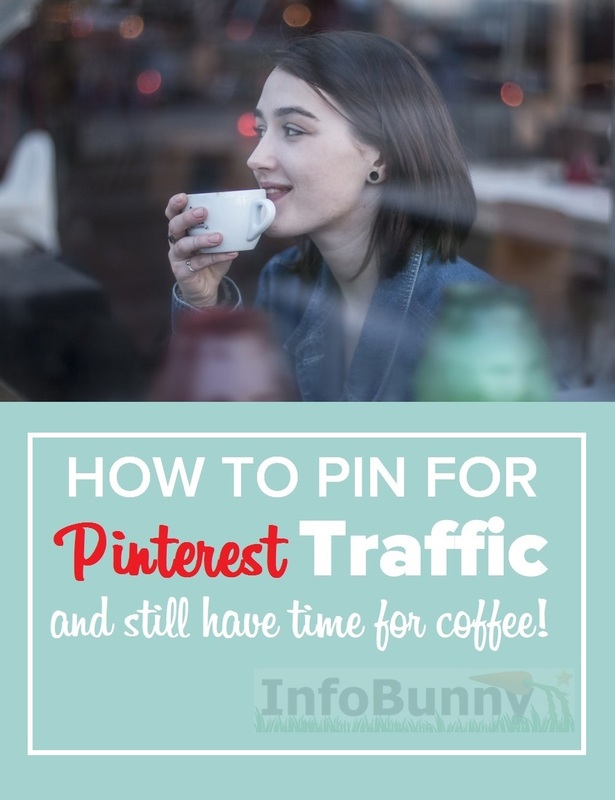 Well, it is a good idea if you have time and it does make perfect sense if you have a good Pinterest traffic generation strategy and are actively pinning for traffic. Let’s say you create a pin that fits into more than one of your boards. It is really not a good idea to pin the image on all your related pinboards all in one go otherwise your profile feed will have the same image appearing 3,4 timers maybe even more times in a row and that just looks bad and pretty spammy. So how do we pin an image more than once without making your profile feed look repetitive and spammy? Easy you simply pin your image to your chosen board. Then you pin 5-10 related pins from other members. Then you pin the next image from your post or if you just have one image you pin the initial image again. Then you pm another 5-10 member pins. What you are effectively doing is pinning your image multiple times but then removing the repetitive look to your feed. You are also doing exactly what the Smart Feed algorithm likes by pinning great content, often. You should be doing this as part of a pin for Pinterest traffic strategy. The result is your profile looks great and you also shared a whole bunch of related pins that your followers will like bringing in more traffic and more followers. 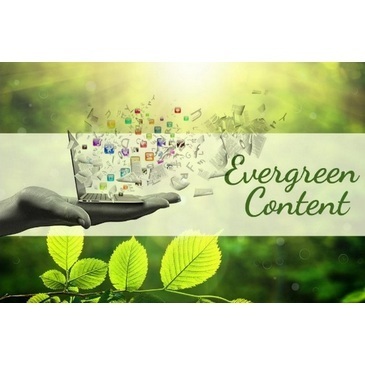 You are missing an opportunity to grow your site traffic if you just post your own content. There is no quick route to get your pins noticed on Pinterest. 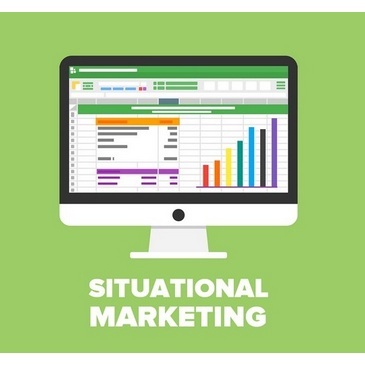 You first need to gain some traction with smart feed before anything really happens and that does take time. Here are some quick tips on how you can get your pins noticed on Pinterest faster and make the smart feed algorithm love you. Just like with blogging or any form of social media consistency is key. Actively pin daily. Not just your own content but the content of others who are getting results. Align yourself with successful, active pinners. Concentrate on 10 boards no more. And build those pinboards up with quality pins that you create that are unique, images that you find on other sites and repins of other members images. Consider using cover images. These are generic images that are used as the lead image on a pinboard. For more information on cover images please refer to my Pinterest Cover Images article. If you have plans to create big boards then you can implement Pinterest Board Sections. Board sections are simply boards within boards. For example, if you have a Fashion pinboard you could create sections for jackets, shoes, bags etc. Pinterest Board Sections are a great organizing tool. If you have a blog or site then connect it to Pinterest. I have to be honest here, I don’t really understand the whole hiding images on your blog idea. 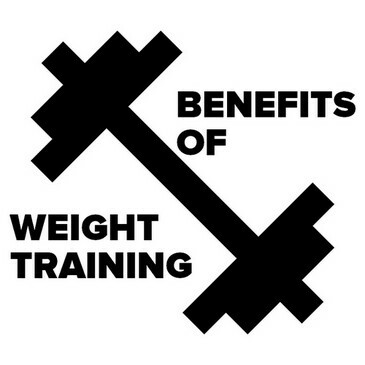 It may seem like a good idea and yes there may well be some benefits. But I do feel that even if it is working for you now you may just come unstuck a bit further down the road. A better option for me at least is to keep Google happy. Not hiding images and this allows me to create great stand-alone images. I can Pin these directly to Pinterest and just link back. If those images do well they appear on Google Search. I can then freshen up my post and swap those images in and replace the old ones. I think it is a very good idea to keep Google happy as part of any pin for Pinterest traffic strategy. Do you have any tips and tricks for Pinterest? How do you pin something on Pinterest? Now I am going to assume that you run your own site or blog and that you are looking to pin your post images to Pinterest and build Pinterest traffic as your visitors then, in turn, share your images and infographics. As Pinterest is one of the best social media platforms to steer more traffic to a blog or website, you have shared great tips to get most from Pinterest marketing efforts. 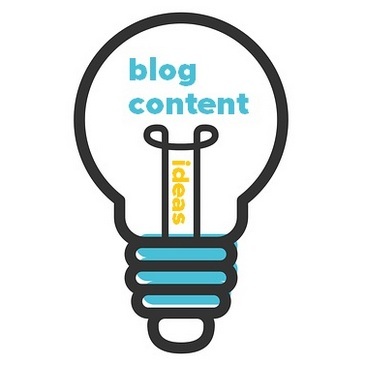 Adding the ideas is totally new for me and i will definitely employ it to boost blog traffic amazingly. Thanks let me know how you get on. Nothing hard to do, but try to pin images, graphics and infographics of your website on Pinterest by using most relevant titles or keywords. Adding some relevant content to your pins would be a plus point to attract more visitors. Great tips on how to best add images to our blog posts and the best way to pin them to Pinterest. One thing that could make a difference is the image itself. Many people are using Royalty free images. There is no harm in that for your blog posts but I think for Pinterest you need to design your images as most, probably all the people that are using the same image as you will Pin it to Pinterest. I am using Canva to build simple and clean images for my blog posts and I think this method will have a better chance to be noticed. I’ve found Dexter how Pinning other folk’s stuff is the quickest way to gain traction on the network. This approach works well in any site, with any niche. Fool proof way to see more traffic thru Pinterest is to help other folks get traffic by Pinning their post. Of course I need to Pin your rocking post bro 😉 Thanks for sharing! 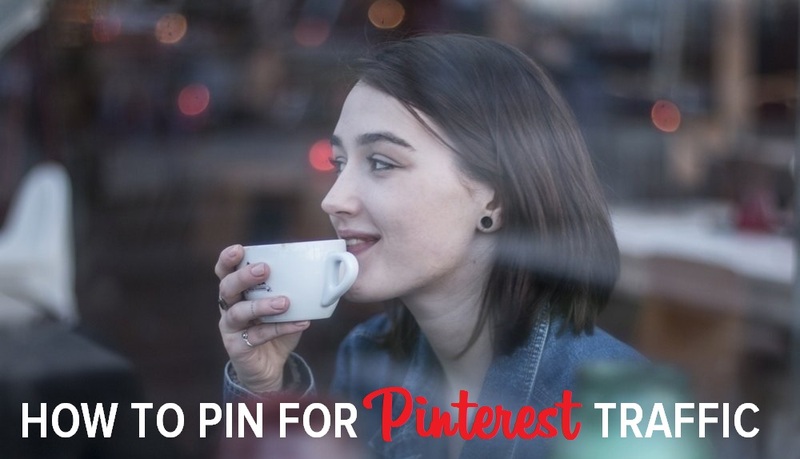 Yeah, I agree with that, post 5-10 pins you find on Pinterest for a niche to a board and then pin in your own pins as well and you will see some impressive traffic. If one of your images catches fire you see a big boost in traffic. Timely buddy; getting back in the Pinterest game now. Thanks much. I need to look you up on Pinterest to see if we are connected. I had never thought of Pinterest as a way to promote a blog. Perhaps I’ll have to explore more. Pinterest is full of bloggers pinning the images from their blogs. If you’re struggling to get traffic from Google then Pinterest will help big time. If you can master both Google and Pinterest then you’re doing really well for traffic. Thanks for the tip. I pin but do not take the time to make them quality pins, I am going to take a few extra minutes and do this. It will really be worth the effort. Once you have a working routine to make them it takes no longer than just creating a Facebook post. The difference is your on a race horse with Pinterest and a donkey with Facebook when you are looking to get traffic. Thanks Dexter. 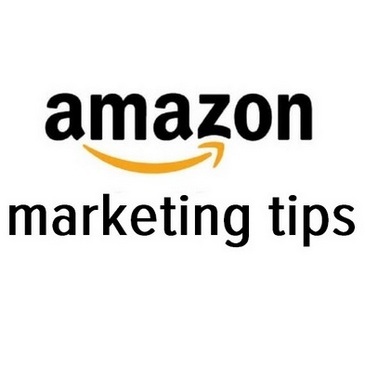 Great tips. I agree with Ryan, I pin other people’s pins that I like to my boards and I’ve gotten a lot of visitors to my boards which includes my blog, 30 Plus Teams 30 Plus Dreams . I have more followers on Pinterest than I do on wordpress and the blog page for Facebook. I agree it works a treat and that is why I make standalone images just for Pinterest because it works. I can’t believe how elaborate and complicated Pinterest has become. When it started, I was so excited to create boards and pin all these incredible images from others. I created so many delightful cateogories and had so much fun pinning. Then I got away from it for awhile. Lately I have only pinned while doing my own virtual summits. As I read through your blog post, you explained that it is not good to just post your own images but important to pin others’ images too. In spite of doing this wrong at the moment, I am getting 25K each month at my site – not bad, since I have not been there often for the past 2 years. Your post offers so much useful information, I have not paid enough attention to Pinterest lately and now I can use your post to guide me to get more traffic and benefit more wisely. 25k a month and that is exactly why its such a good traffic site. 5mins creating and sharing an image for Pinterest is better than 5 mins spent creating the same for Facebook. Great read – thank you. I love Pinterest for traffic. I particularly like your thoughts on hiding images from Google but making them available to Pinners. Why can’t people create a series of pins on the post topic and embed the board at the bottom of the post. It will be loaded by the time the reader reaches it and the Pins are ready for them. Do you think that would work? Hi Sarah. You can indeed make a board specifically for a post and embed it at the bottom of your post. You will need to check how it displays on desktop and mobile. Pin all the images to your board and they will be available for repins. But it requires readers to visit your board to see what is there. You’re also going to have a lot of boards as you create a new one per post. It could work but would need to work through the process of whether it would be good for SEO and page loads etc etc. Is this something that you do? Yes it is well worth creating good images for Pinterest. I have tried all these tips but don’t get much ROI on Pinterest. I’m happy you do. I do get some but not much. Did the course that you took not pay off? Your article is great. I will like to mention that, one thing many bloggers and content marketers have failed to notice is that Pinterest is an amazing traffic source just like Google. So, if used correctly, it can skyrocket your website traffic. As you mention, some will just pin an image for the sake of it without a description. Such an image becomes invisible to searches. But with a remarkable image description and the right keywords, you increase your chances of been seen and drive massive traffic. Absolutely. The challenge with Pinterest is converting traffic to your site, creating traffic is the easy bit. Another very informative post – thanks for sharing Dexter. I’ve not been very active on Pinterest recently… my biggest problem is that there are so many platforms and so little time. I will take another look! Interesting and very valuable information Dexter. Even though I make my living as a writer I’m also an artist so Pinterest is a natural for me personally. I do regularly get traffic from there and enjoy the site so it’s nice to have some fresh ideas and tips. Thanks! Marquita Herald recently posted…Who Do You Trust? My niche is known for Pinterest and I am still learning how to make it generate traffic for me. I will keep reading. Thanks for the information about pinning to Pinterest. I’m doing most of what you suggested but there are a couple of things I had no idea about. I still need to work on the strategies and also add more pins and of course share more. Great, message me if you have questions. Thanks for these tips and tools! What a relief to have confirmation that my site is mobile friendly. My next step is to work on the Google Search Console! Pinterest is the best site for promoting our business, great terms to share. But still, I have some problem in pinning to Pinterest, will resolve it. It is great for promoting any business. Really amazing information here, I loved your helpful content. Thanks, I am glad you had some takeaways from this article. wali kali recently posted…Radhika Kumaraswamy Biography and Wife of “H.D Kumaraswamy” Complete Details. I have been using PinPinterest [com] for almost 6 months now for my Travel blog, TravelMagma.com and my traffic has shown a tremendous boost. This tool ensures proper safety for my Pinterest account and doesn’t let you get banned while automating the marketing activity. Now, who wouldn’t love getting a large number of followers while sitting idle and relaxing, because this tool will do all the hard work for you. Its sophisticated artificial intelligence automatically analyzes and pins the most relevant ones. Your right Pinterest is a very special site. Have you read my Pinterest Traffic Generation Guide yet? It is a huge source of traffic. My Pinterest profile now receives over 1 million views per month. Thanks for all this valuable information about Pinterest. I’m a newbie on that platform and pin blogs I follow and some other stuff. When it comes to pinning an image of my blog I do make sure the title is in there. I haven’t looked at traffic yet because I’m new, but this sounds like an exciting adventure for me to pursue. There is masses of traffic at Pinterest the challenge is to up your click through rate. The best part of it is that not everybody is taking advantage of it, which gives you even more chances of getting your content noticed there. I’ve started to use Pinterest for traffic about 2 months ago, and it has quickly turned into one of the top referrers of traffic to my blog. Yes, it is very powerful when it comes to generating traffic to your blog. Have you read my full Pinterest guide yet? Thanks for the valuable information. i am new in the pinterest . i read your article. and follow your instruction. It gives some new traffic. Sumitina good to see you here. Glad you took some value from my Pinterest article. Are we connected on Pinterest? Informative and well explained article. I will definitely going to implement all these tips to promote my blog on pinterest. Thanks for sharing this article. Blogger and digital marketing expert know importance of pinterest social media plate form to promote your brand and services related to design..
Am still struggling to get traffic for my blog but your guide will help me understand how Pinterest Works!! I will implement these tips and am sure I will see a difference.